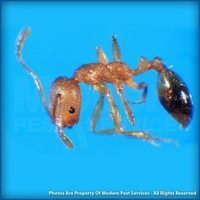 Cornfield ants vary in size. 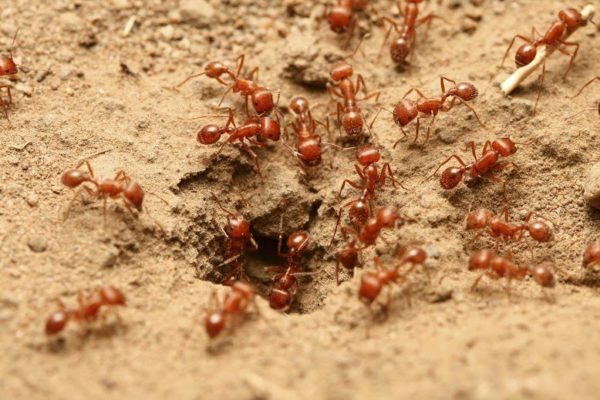 Workers tend to be 2.5-4mm. Males range from 3-4.5mm, and the queens can be from 4-9mm. They are light brown to very dark, reddish brown, and can be any combination of these colors. They omit an acid odor when crushed. Cornfield ants don’t reside exclusively in cornfields. They get their name from hatching the corn root aphid and transferring it from grasses to growing corn. They are frequently found nesting in lawns, and build visible, crater-like nests. The nests may appear near or underneath bricks, stones, sidewalks, cracks in pavement, and in rotting logs, wood, and bark. They seek out the moisture that damaged and decaying wood provides. 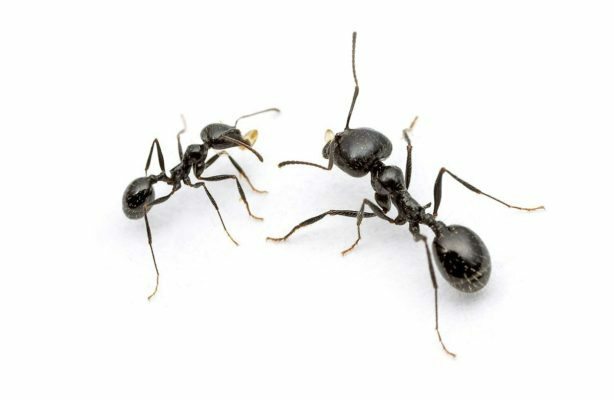 It is very unlikely for cornfield ants to enter homes, but if they do, it is usually to scavenge for sweet foods. Although it could also be indicative of a moisture problem. They are rarely found nesting in homes or other structures. 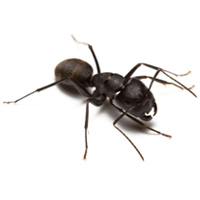 For more information on keeping your property ant-free, get a quote today or contact your local pest control specialist! 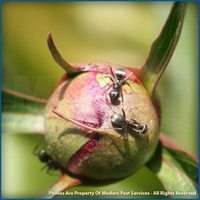 Cornfield ants feed primarily on live and dead insects, nectar, seeds, and the honeydew of aphids. They will sometimes venture indoors to try and find sweet foods. 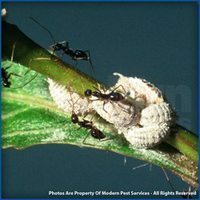 Ants are omnivores. They have two stomachs, one for themselves and one that holds food for the colony. Cornfield ants generally mate between August and September, usually on hot, humid days. The male dies right after mating because he is unable to feed himself. The female then moves away to start a new nest. 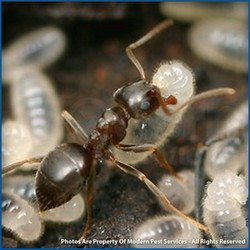 The first few eggs she lays will become the workers of her colony. The queen will nurture the workers until they are old enough to care for her and themselves.